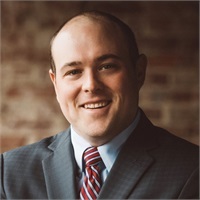 Ryan Belcher joined Comprehensive Financial Consultants in May, 2007, initially starting as an intern while studying finance at Indiana University. After his 2007 graduation from IU, Ryan completed his financial licensing requirements and has been a vital member of the team ever since. 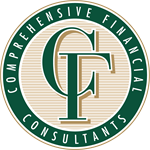 Since becoming licensed in early 2008, he has been focusing his efforts on comprehensive financial and retirement planning for individuals and families as well as investment management. Ryan goes the extra mile for his clients to ensure that they’re comfortable and confident with their financial decisions. Ryan is also involved in group retirement planning and has served in an integral role in continuing Comprehensive Financial Consultants’ partnership with Monroe County Community School Corporation and Franklin Community Schools. Often times, Ryan can be found at the schools, directly educating today’s educators to make solid financial decisions for their future. Outside of work, Ryan enjoys the occasional golf game – and you’d rather play with him than against him – his team won the 2018 Comprehensive Financial Consultants Golf Outing! Ryan also enjoys fishing, playing recreational sports, and spending time with his family. A Bloomington native, Ryan is a graduate of Bloomington High School South and Indiana University’s Kelley School of Business. Ryan married his wife Elizabeth in 2012. Together, Ryan and Elizabeth have two daughters, Madelyn, born in 2016 and Chloe, born in 2017.